The Sanskrit word Vimarshana can be loosely translated to mean "review." In ancient India, formal performances were evaluated on the spot by experts, both in royal courts and other venues. Even the great Vaggeyakara Kshetragna was challenged in the Nayak court! Good work was lauded and rewarded instantly. Some say bad work attracted punishment! Post Independence, our nation was bursting with national pride. Newspapers felt compelled to give space for the renascent arts. Writers proficient in English were recruited to write something insightful, inspirational, and interesting. Not irreverent or irrelevant. They were, according to me, the children of Ananda Coomarasamy, the man who took The Dance of Shiva to the world at large. These writers were amateurs, not "journalists." They were "arty" gentlemen of means, wore ethnic clothes and knew artists personally. They attended all performances. The early dancers were ignorant of the consequences of being "reviewed." The devadasis were often shy of being photographed! The writers were gently persuasive. Times changed and soon a new generation of dancers appeared on the modern stage. When I danced in a festival in New Delhi at the age of eight, Charles Fabri, a well known writer, was excited about the talented little "ballerina" from the South! New writers emerged, and were soon labelled "critics." Initially they indulged in impressive English prose. They said: “The pretty young dancer moved like a gazelle, doing Pandanallur and her guru proud with agility in footwork, enhanced by many a winsome smile on her face.” Soon more knowledgeable writers found space in journals and newspapers. Their writing was sprinkled with Sanskrit words culled out of the Natya Sastra, and they said: “The dancer has come of age....her "nrtta" looked polished, her "abhinaya" had a bhava- laden intensity, her poses made ancient temple sculpture come alive.....this dancer will be a star one day." Some even took the trouble of listing the dances with details of composers etc. establishing that they were indeed knowledgeable. 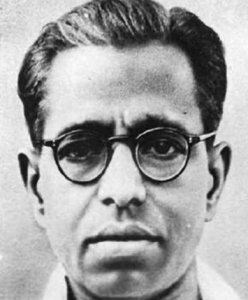 Kalki Krishnamurthy was a pioneer in critiquing music in Tamil. His humorous analogies impressed many and he was later imitated by Subbudu who also reviewed dance. 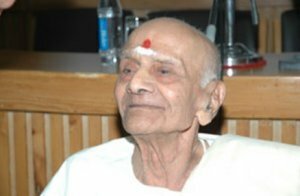 I was wary of him, having damaged his ego by not recognising him when he stormed on to the stage after a Kuchipudi dance drama in which I played Satyabhama. I have always kept a discreet distance from critics. However NMN of the Hindu and later Leela Venkataraman to mention only a few, have written insightful reviews which gave me immense confidence in my work. As Oscar Wilde put it, ‘There should be artistry in criticism.’ The pleasure of reading a good piece of writing should enthuse both the artist and the reader. Today there is no space for reviews in most newspapers. The day has come when writers and artists should join hands in de-mystifying art. This is the only way to attract a new young audience in the age of SMS and twitter. Nobody has the time or patience to read long inarticulate essays! Lakshmi Vishwanathan, a prime disciple of Guru Kanjeevaram Elappa Pillai, is an exponent of the Thanjavur style of Bharatanatyam. She is also a trained vocalist. She is the author of several acclaimed books: Bharatanatyam - the Tamil Heritage, Kunjamma - Ode to a Nightingale, Kapaleeswara Temple, Women of Pride -The Devadasi Heritage. Her film ‘The Poetry of Dance’ was commissioned by the Festival of India. The Mamallapuram Dance Festival started in 1991 was Lakshmi’s brainchild. She has served on several arts committees. She has served as Vice President of Music Academy (Chennai) and is a member of South Zone Cultural Centre. I am not sure whether it is technically correct to say 'review' while writing an appreciation about a live performance. There is only 'live-view' and no chance for a 're-view'. (If we record it, watch it later and then write about it, then we are reviewing the video recording and not the live performance.) So it is more about sharing one's experience, his/her opinion about a particular performance. I'm always comfortable with the term 'appreciation' than 'review'. Unless you wish to remain anonymous, please provide your name and email id when you use the Anonymous profile in the blog to post a comment. All appropriate comments posted with name & email id in the blog will also be featured in the site.